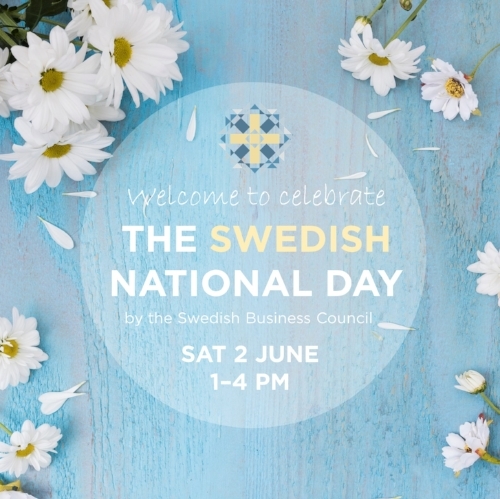 For the fifth year in a row, supported by the Swedish Embassy, the Swedish Business Council celebrates the National Day with a bang! Bring the whole family and enjoy a Swedish inspired buffet, speech by H.E the Ambassador of Sweden to the UAE, raffle with great prizes and kids activities with Art Village Nursery. The entire Swedish community with business partners, friends and families in the UAE are invited to this yearly celebration! Members' children under age 15 go for free! *Each member can bring one guest to member price. Children 0-5 yrs for free. Each SBC member can bring one guest to membership price. Additional adults will go for non-membership price. Full names of additional adult guests. Thank you for registering to the event! It’s going to be a great day! Please arrange with pre-payment according to the payment instructions on the event page. At the point of payment you will receive a receipt which also works as your ticket to the event. Please call the SBC team for settling the cash payment. WHY NOT BECOME A MEMBER RIGHT AWAY?! There are a lots of advantages with being a member of the Swedish Business Council - discounted ticket prices being just one of them! So join us right away! Memberships from AED 265 per person! Read more about the memberships and register below! DOES YOUR COMPANY WANT TO BE INVOLVED IN THE NATIONAL DAY CELEBRATION? Thank you for showing interest in being our National Day partner! We will get in touch with you to discuss this further!